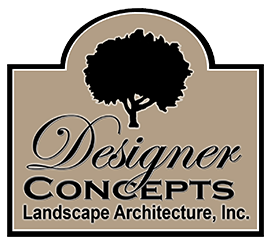 Think your landscape looks great during the day? Wait until you see it at night! 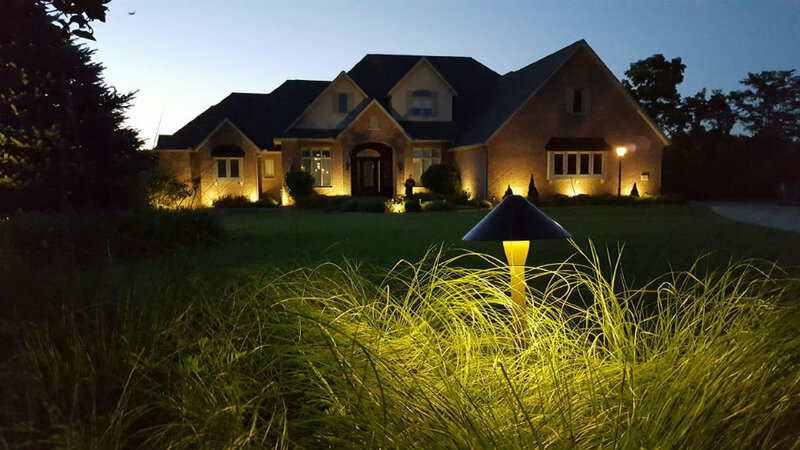 Outdoor accent lighting extends the enjoyment of your landscape. Let the DCLA team highlight tree canopies, architectural features, and pathways with expertly installed lighting to add drama, safety, and functionality to your outdoor space. Add uplighting to brighten a dark corner. Draw the eye to focal points in the landscape. Provide task lighting for outdoor kitchens. BRING ambience to gathering areas. Incorporate lighting iN retaining walls or outdoor structures. 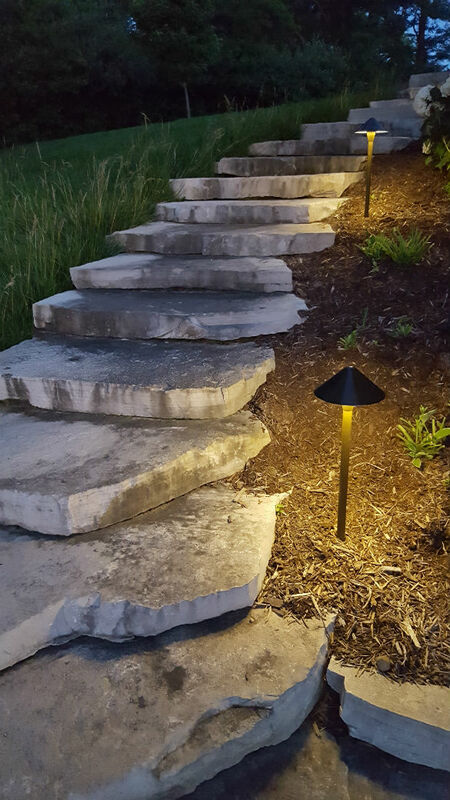 Illuminate walkways and patios for safety. Today’s low-voltage landscape lighting gives you incredible choices that make your landscape user-friendly after dark. Let us help you choose and install lighting that meets your vision of outdoor living. Easily the most professional contracting company I’ve worked with. It does come at a slightly higher price than some of the local competition, but I’m a firm believer in getting what you pay for. Other contractors have left extra materials, garbage, etc. that needed to be cleaned up afterwards. Not these guys! They cleaned up everything, each day. I’m very pleased with our experience with this company. The schedule slipped out by about two weeks, but they were very upfront about how likely this was to happen since the landscaping industry is typically weather dependent.